Technicals suggest a test of the US$10,000 level within the next few weeks, followed by an extended consolidation period before the next bullish markup. Trend indicators on the daily timeframe have flipped from bearish to neutral, while momentum oscillators on the weekly timeframe have begun to flip from bearish to bullish. A BTC ETF decision by the SEC in the month of August could be the catalyst needed to immediately spark price action to the US$10,000 level. A new update from the comprehensive semiannual blockchain spending guide predicts blockchain spending to reach a new peak of almost $12 billion in 2022. Spending is expected to increase with a five-year compound annual growth rate (CAGR) of 73.2 percent. IDC, the company behind the report, expects money spent within the blockchain sector to reach $1.5 billion, which is already double the amount compared to last years figures. The United States will lead the charge, responsible for more than a third of worldwide spending through this five-year forecast (36 percent). With some of the largest crypto-related companies within the U.S. such as Coinbase, Bitpay, and Bitfinex, it makes sense most of R&D would be located here. 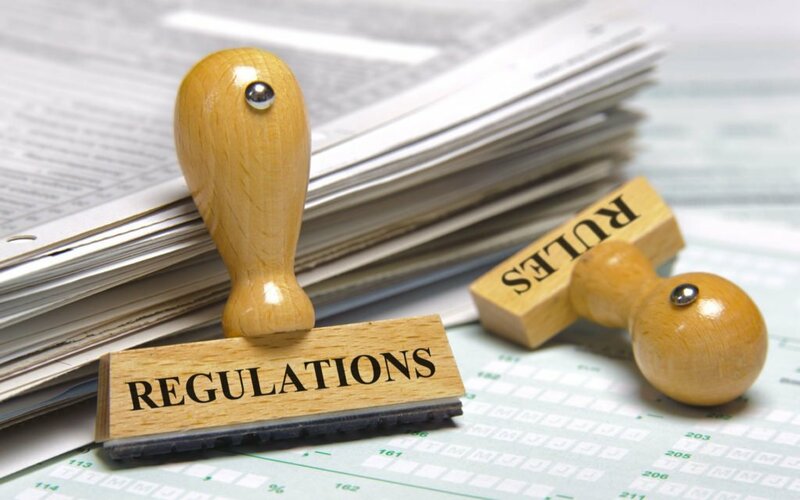 As U.S. regulators begin to understand more about cryptocurrency, new laws and rulings may be introduced that further encourage additional spending within this sector. Western Europe is the second largest region for blockchain spending, followed by China and Asia/Pacific. This third region does not include Japan and China, both of which have been enormous markets for cryptocurrency adoption. Regardless of region, all will see huge spikes in their spending, with Japan and Canada leading the pack at 108.7 percent and 86.7 percent CAGR respectively. The report further goes into which specific sectors will invest the most funding within blockchain and reveals that the financial industry and IT sector will dominate. This finding isn’t particularly surprising, given the number of immediate applications blockchain has for both areas. For finance, blockchain could help with asset and goods management, introduce transparency in supply chains, as well as revolutionize how distribution is handled. In IT, blockchain platforms could be the next killer app, as well as security software. Further spending also includes the costs and benefits of potential new job openings, some for positions that haven’t existed in the past. With many universities across the globe finally introducing a crypto curriculum, it will be interesting to see what the market for cryptocurrency looks like in five years. The post IDC Reports 73% CAGR, Blockchain Spending to Hit Nearly $12 Billion within Five Years appeared first on BTCMANAGER. 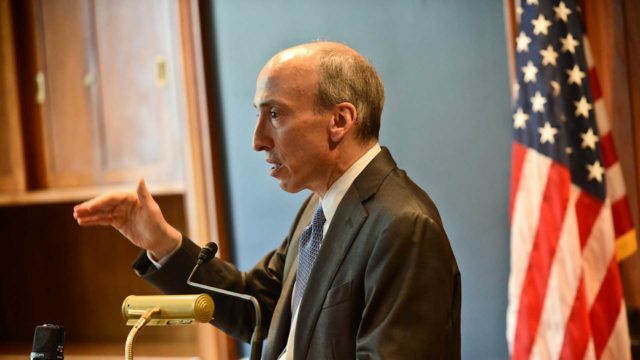 Gary Gensler was chairman of the U.S Commodity Futures Trading Commission (CFTC) between 2009 and 2014, right after the global financial crisis. Today, Gensler is part of MIT’s Digital Currency Initiative, lecturing students on blockchain technology and cryptocurrencies. Gensler was instrumental in dealing with some of the cleanup from the global financial crisis of 2008. He implemented new regulation whilst at the U.S CFTC for the unregulated swaps market which played a central role in the crisis. His work at the U.S CFTC was successful and the new oversights were implemented in advance of other regulators taking actions to mop up after the crisis. After leaving the CFTC Gensler became finance chairman for Hillary Clinton’s 2016 presidential campaign and bid. Gensler has now joined the Massachusetts Institute of Technology (MIT) Sloan School of Management and lectures on blockchain technology and cryptocurrencies. In a recent interview with The Wall Street Journal, Gensler confirmed he is “bullish” when it comes to blockchain, describing it as mimicking the distributed nature of society. However, his past work at the CFTC has left him with a “sober” eye on fast-growing financial technology. Despite not being directly involved in U.S politics right now he has agreed to help both Republicans and Democrats in matters of cryptocurrency regulation. Speaking at the MIT Technology Review’s Business of Blockchain conference in April 2018, Gensler said that government officials needed to look to regulate the larger cryptocurrencies as well as new ICO tokens. Gensler was quoted in a subsequent debate over Ripple describing it as a “noncompliant security” due to its centralized distribution model. Last week, July 19, 2018, Gensler spoke at U.S Congressional hearings on cryptocurrencies and blockchain technologies giving five reasons why he believes blockchain technology can make a real difference in the financial sector. Gensler said blockchain lowers costs and risks and can give stability and prevent illicit activities if regulated. But, the U.S Securities and Exchange Commission (SEC) and U.S CFTC have a role to play as the ICO market is ripe with scams and fraud and there are gaps in U.S law, especially when it comes to exchanges. Gensler also believes the U.S CFTC is better placed to regulate cryptocurrency markets. Do you agree with Gensler? Who is better placed to regulate cryptocurrencies in the U.S, the CFTC or the SEC? Let us know what you think in the comments below. The post Gary Gensler: From CFTC Chair to Blockchain and Cryptocurrency Educator appeared first on Bitcoinist.com. Fintech 3rd-eyes offers a robo-advisory solution with improved individualisation and reduced costs, enabling advisers to offer better value to their clients. Founder Rodrigo Amandi told Venturlab about their hopes for the New York roadshow in September. This is the first part of the Fintech Startup Interview serial powered by Venturelab. My name is Rodrigo Amandi. I come originally from Madrid, Spain, but have lived in the UK and Switzerland for almost 20 years. I hold a PhD in chemistry and have worked in the financial industry for over 12 years. I am married and have three children. Our big idea behind the foundation of 3rd-eyes was the democratisation of professional investment advice. There is a big gap between the methodologies used by highly professionalised investors, such as pension funds or insurance companies, and those of the wealth management industry. We have worked over the past two years on developing a solution that enables wealth managers to provide superior advice, based on those methodologies used by the big investors, at a fraction of the cost, thanks to the rapid technological developments of recent years. There any many opportunities where fintech can create a great impact. The greatest focus so far has been on personal finance – concretely on savings, budgeting and connected products, such as savings accounts, credit cards and consumer loans. Yet little attention has been given to investment advice. Sure, there are many robo-advisory solutions in the market, but none of them provide the degree of individualisation required by clients. We see a great of opportunities in this field, as robo-advisory solutions proliferate and the wealth management industry needs to provide extra value to their clients so they can retain them. This is where our solution plays a problem-solving role. Global problems deserve global solutions! The USA is one of the top three wealth management hubs globally, with a market worth over $1.5 trillion (Deloitte Wealth Management Ranking 2017), and hence it is an important market for our company to explore. Understanding the dynamics of the market as well as the specific requirements of the US market is crucial. New York certainly can provide us with such insights. Local presence is a must when pursuing global expansion. This obviously requires a significant investment for a company of our size, and poses a greater challenge given the uncertainty of the return on capital invested. What do you hope to achieve on the trip? What are you most looking forward to? Market research, business development opportunities and meeting potential investors. I look forward to having the opportunity of talking to US investors and organisations, as well as exchanging ideas with other startups. Venture Leaders provides us with an excellent platform to benefit from the Venturelab team’s experience on how better to sell our company and the services we provide to potential investors and business partners. Additionally, it provides us with a unique experience to share knowledge and experience with other participating companies. The post Robo-Advisor Solution by 3rd-Eyes- CEO Venture Leader Interview Column appeared first on Fintech Schweiz Digital Finance News – FintechNewsCH. SVC Ltd. for Risk Capital for SMEs (SVC Ltd.), an investment vehicle of Credit Suisse in Switzerland, is investing in Assetmax AG, an asset management service provider based in Zurich and Lugano. This is SVC Ltd.’s second investment in a fintech after providing Tradeplus 24 AG with growth capital in the fourth quarter of last year. SVC Ltd. has a total of 130 million Swiss francs available for investments in Swiss SMEs, 30 million of which is specifically for fintechs. After Credit Suisse provided its subsidiary SVC Ltd. for Risk Capital for SMEs with CHF 30 million in additional investment funds for fintechs early this year, it has now made another investment in this area. With operations in Zurich and Lugano, Assetmax AG (formerly Fimax Asset Management Solutions AG) has evolved to become one of the leading IT platforms for independent asset managers and banks since its founding in 2013. It enables them to unburden themselves of repetitive and select administrative tasks by consistently automating and outsourcing business processes, including in the areas of compliance and portfolio management. Established specifically for fintech investments, SVC Ltd’s Investment Committee was particularly impressed with the innovative capacity and the sophisticated technology of Assetmax’s platform. This assessment was underscored by the fact that the company has only used very little money on active marketing of the platform, and has instead managed to amass their current client base primarily through referrals from existing users. With the newly acquired capital, Assetmax AG will further develop its platform and implement measures to accelerate its client acquisition. Aside from SVC Ltd., Schwyzer Kantonalbank’s innovation foundation, as well as entrepreneur and doodle originator Paul E. Sevinç, took part in Assetmax’s first round of funding. “With its platform, Assetmax addresses the needs of many external asset managers and has done a convincing job of technically implementing the corresponding solution. It is precisely this combination of strategic flair and flawless implementation that is a decisive factor for a company’s success. Assetmax is SVC Ltd’s second investment after having invested in Tradeplus24 AG in the fourth quarter of last year – a Zurich-based fintech company specialized in granting business loans for SMEs backed by global debtors. The post Credit Suisse Invests in Swiss Fintech Company appeared first on Fintech Schweiz Digital Finance News – FintechNewsCH. What can a blockchain startup do when it runs out of its own tokens? According to U Network, buy back tokens from its ICO investors. Would you say we were awesome, terrific, or just super great? Tick all that apply, a glimpse inside the YouGov world of influence research.